As an amateur I was a member of the Blairgowrie Golf Club where I was club champion in 1986 and was a Perth & Kinross County player. Turning professional in 1988 and qualifying in 1991 I worked in the Inverness area until 1999 at Inverness GC, Loch Ness GC and Muir of Ord GC. At this time I coached Adults and Juniors and did a large volume of junior group coaching for the ‘Golf Foundation’ at many other clubs throughout the Highlands and Islands. I moved to Holland in 2000 where I lived and worked as a full time PGA Teaching Professional for 12 years giving a large volume of lessons doing golf clinics, Individual and Groups Lessons at clubs such as GC Amelander Duinen, GC Vossenhole, GC Aelderholt, GC Lage Mors and GC Princenbosch. I can speak Dutch (and a little German) as a result of working in Holland. 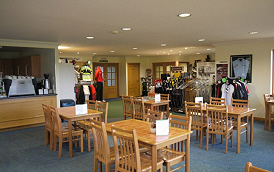 Moving back to my native Perthshire I worked at Pitlochry GC for 5 years before moving on to The Myrus Golf Centre in 2017. I have taught people from all walks of life, all ages and abilities during my career as a PGA Golf Professional. I have attended many further education seminars at my own expense to further my own knowledge in coaching, golf equipment and technology and retail. I am a certified golf professional with the Titleist Performance Institute, Trackman University and Plane Truth golf and have been a PGA Advanced Professional since 2013. 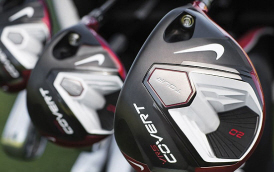 Would you like know how far you really hit each club in the bag ? We can do that for you using our Flightscope radar unit and check your gapping between clubs. 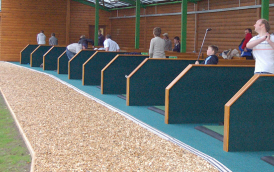 Weekly junior group lessons £5.00 per Lesson in a group of minimum 4 to maximum 6 children. 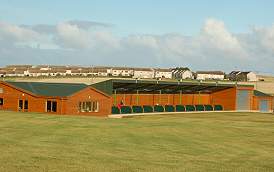 Good way for children to learn golf with friends or other like minded children.